According to reputed media outlet, The Telegraph, Premier League star Eden Hazard is expected to tell Chelsea that he wants to join Real Madrid after saying he has made a decision on his future. The 28-year-old Belgian played a pivotal role in the World Cup and was one of the best players in the tournament. He bagged 4 Man of the Match awards in 6 matches, scoring 3 goals and providing 2 assists in the process. Eden Hazard has managed to carry his red hot form for Chelsea, as his powerful displays have helped Chelsea into a top 4 spot in the Premier League, and has taken them to the final of the Carabao Cup so far this season. There is no doubt about Hazard's impact, as he has scored 12 goals and provided 10 assists in the League so far. Meanwhile, Real Madrid's season has not gone according to plan, as they are currently 3rd in LaLiga, and 8 points behind league leaders Barcelona. Eden Hazard's admiration for Los Blancos is no secret, as he has spoken about his desire to play in Spain openly. He will be out of contract with Chelsea in June 2020 and has yet not renewed his contract. Moreover, at an interview with RMC sport, Hazard told that he has made up his mind about his future. Eden Hazard is valued at €100 million, given the fact that he will be heading into the final year of his deal at Stamford Bridge this summer. According to the report, Hazard's friends are convinced his mind is made up and the biggest remaining issue appears to be whether or not Chelsea and Real can agree a deal for Hazard to move to the Bernabeu in the summer. Although Eden Hazard leaving will be a huge blow for Chelsea, the move is not unexpected. 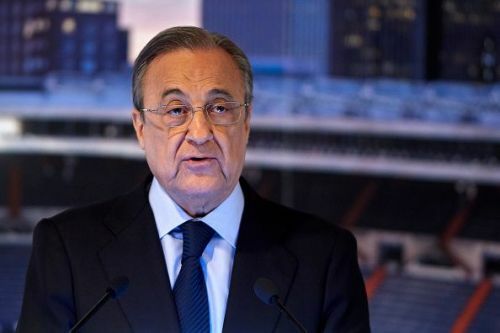 On the other hand, the likes of Luka Modric and Marcelo are not getting any younger, and Florentino Perez will keep that in mind as he shops for new Galacticos. After the departure of Cristiano Ronaldo to Juventus, Real Madrid are desperate for a new superstar. Meanwhile, Hazard continues to flaunt his admiration for Los Blancos and he might leave Chelsea this summer if Real Madrid come calling. Till then, Eden Hazard will look to lead Chelsea to major silverware - Carabao Cup and Europa League- as the Premier League seems to be out of reach at the moment.